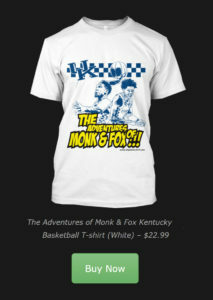 Ok guys, our first T-shirt is officially out. We made sure to choose premium quality materials, so we hope you are able to enjoy the custom design and feel while you support us and the UK basketball program even though they fell a little short this year. (Each shirt has a separate link, so be sure to click on the appropriate icon to get your desired look). 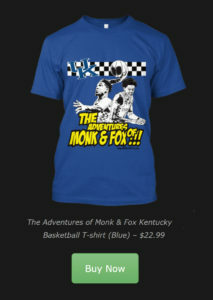 Malik Monk and De’AAron Fox took us through a roller coaster season and this t-shirt is dank AF! 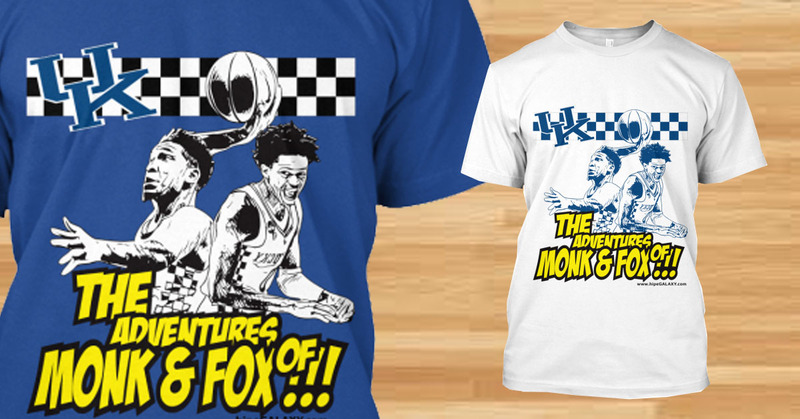 Again, we made sure to choose premium quality so either cut off the sleeves, or leave em on… Whatever your style, this is a must-have for all true blue-bloods and die hard fans of Kentucky Basketball. What are you waiting for, get em while they’re hot!!! Previous articleIs Zeke the Freak turning into a Freak Show in Dallas? Next articleEye on Derwin James: The Best Collegiate Football Player in the Nation.